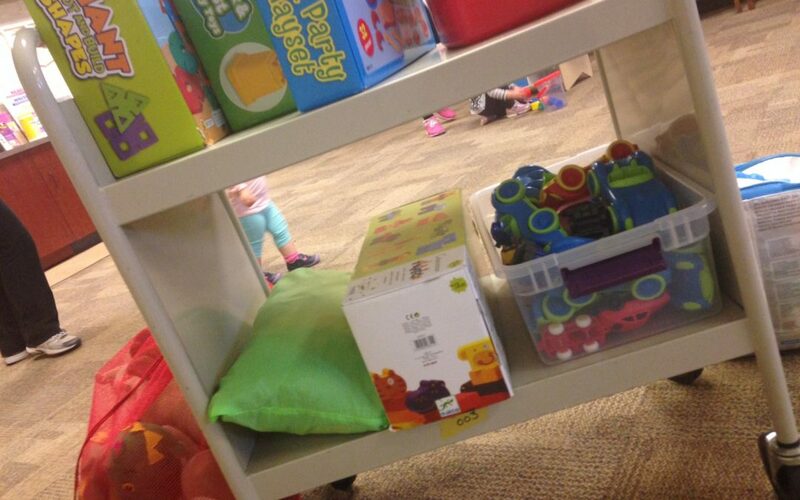 Passive programming and early literacy: Designing creative spaces for young learners. Libraries offer story times, early literacy activities, and a nice range of activities, but sometimes a community wants or needs more… Passive Programming to the rescue! Passive programming requires a bit less formal oversight. An example of passive programming could be a drop-in activity in a designated space that staff loosely monitors while juggling their regular duties. An activity station accompanied by clear, simple directions for passerby. As the ALSC article suggests, take time to talk with parents after storytime or as they visit the passive program. Use these casual discussions to find out when or if the library should schedule programs, what type of programs they would attend, how the library should promote programs and more! Read more about the passive programming station, the Imagination Station, at the Decker Branch of the Denver Public Library. Voting contests: Caldecott, Printz, Yalsas’ Teens’ Top Ten and more!